Jeanerette, LA – December 20, 2017: Louisiana-based shipbuilder Metal Shark has set its sights on the pilot boat market with a range of custom-configurable pilot offerings and two new pilot boats currently under construction. Metal Shark is currently building a 45-foot Defiant Pilot Boat for the Virgin Islands Port Authority at its Jeanerette, Louisiana production facility. 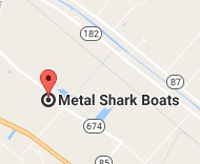 At its 25-acre shipyard in nearby Franklin, Lousiana, Metal Shark is building a 64-foot Defiant Pilot Boat for the Brazos Pilots Association of Freeport, Texas. The next-generation pilot boats were designed by Metal Shark’s in-house design team and combine proven running surfaces with modern, crew-friendly, pilot-focused features including flush decks, pilot boarding platforms, and multiple fendering options. 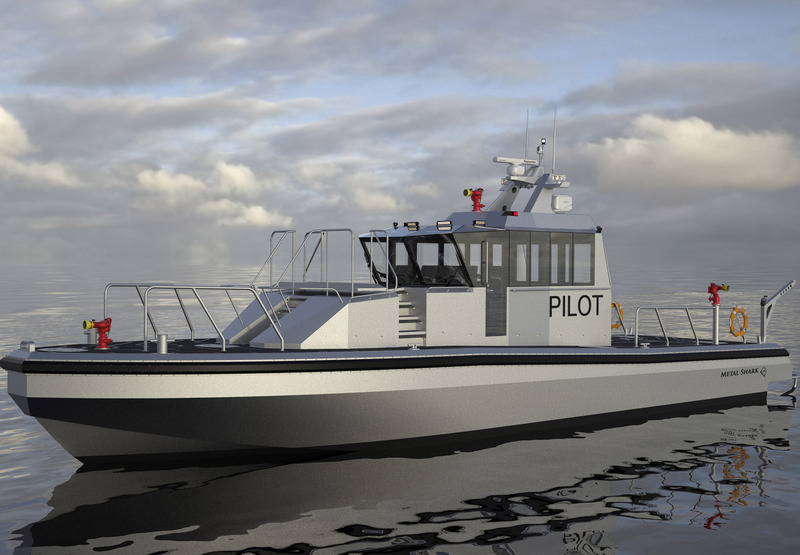 In addition to the 45-foot and 64-foot models now in production, a 55-foot Defiant Pilot Boat is also available. The new vessels are immediately identifiable due to Metal Shark’s signature “Pillarless Glass,” pilothouses, which offer greatly improved visibility by drastically reducing blind spots – a key concern for pilots who operate around the clock. The forward-raked, automotive-style frameless glass allows for nearly unimpeded view from the vessels’ elevated helm stations. Defiant-class pilot boats may be completely custom configured, from the type and location of platforms and rails, to various propulsion types and fendering systems, in order to fully address the unique challenges and demands of each pilot group’s operating environment. Both new Metal Shark pilot boats will be delivered in 2018.